Asheron’s Call was a MMORPG Originally Released November of 1999! Developed by Turbine and published by Microsoft, put (1999-2004 ). Then WB bought the rights in 2010-2017, this was the first MMO I ever laid my hands on. After 17 Year of playing this game, I have seen the best and the worst moments of the Asheron’s Call. From it being ahead of its time to staying alive past its expected life-cycle. 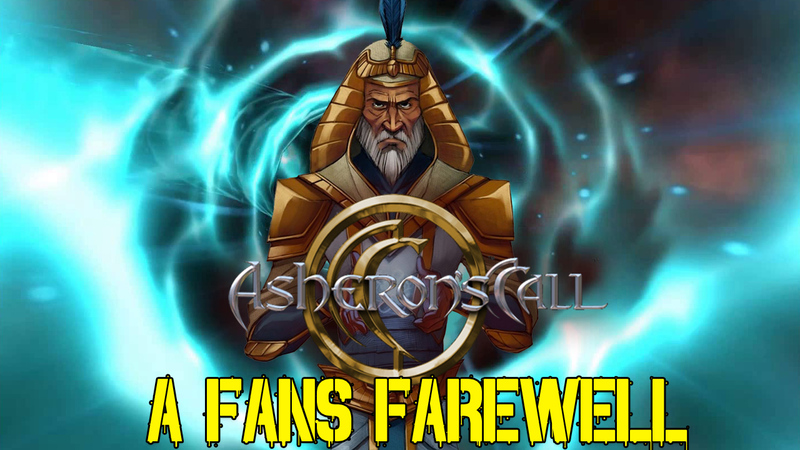 Join me as I say Goodbye to quite possibly, the best MMO I have ever and will probably ever play. What hurts me the most about this, is not getting any End Game Content once it was announced the game was gonna be shutdown. You did us wrong WB/Turbine. But you know what, Thank you for giving us this game.